Taylored Expressions Die Focus: Grad Cap! Hello! 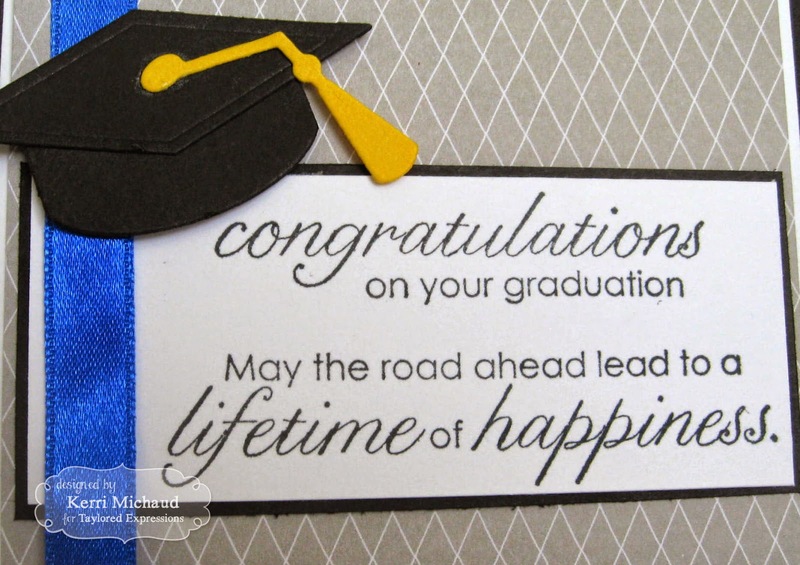 I wanted to share a simple graduation card I made using the awesome Taylored Expressions Grad Cap Die along with some sentiments from the TE set Lifetime of Happiness. 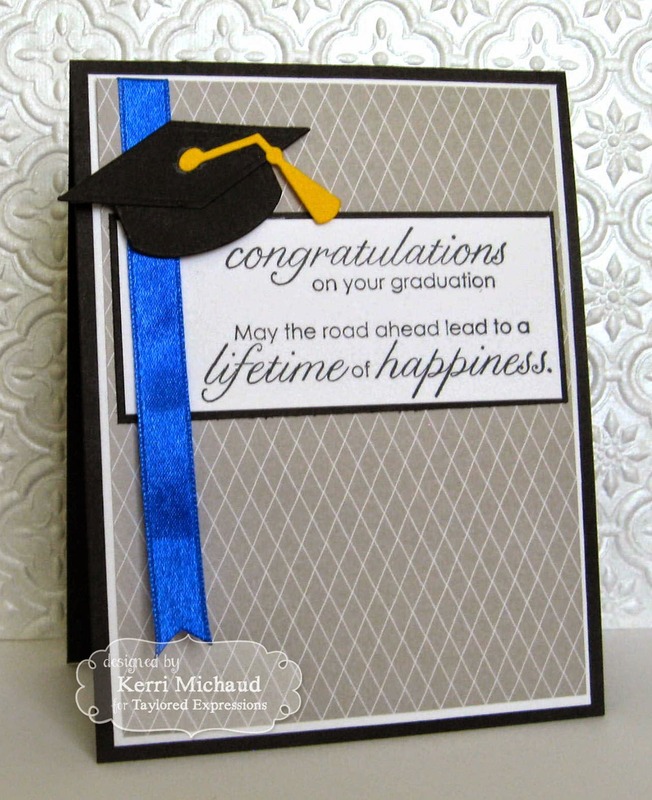 I simply stamped the sentiments with Memento Tuxedo Black and cut it out. I used some American Crafts Plus One dp and the layout is MFTWSC173. The Taylored Expressions release is next week and sneak peeks start on Monday! I gotta go get busy working on my projects:) Thanks for stopping by and have a terrific Tuesday!